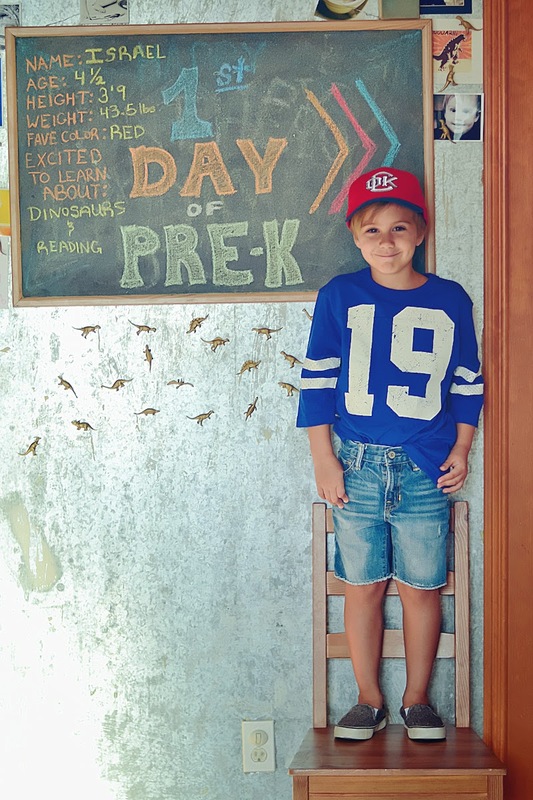 I'm not sure how it happened, the not so tiny baby I cradled in my arms is now starting school. 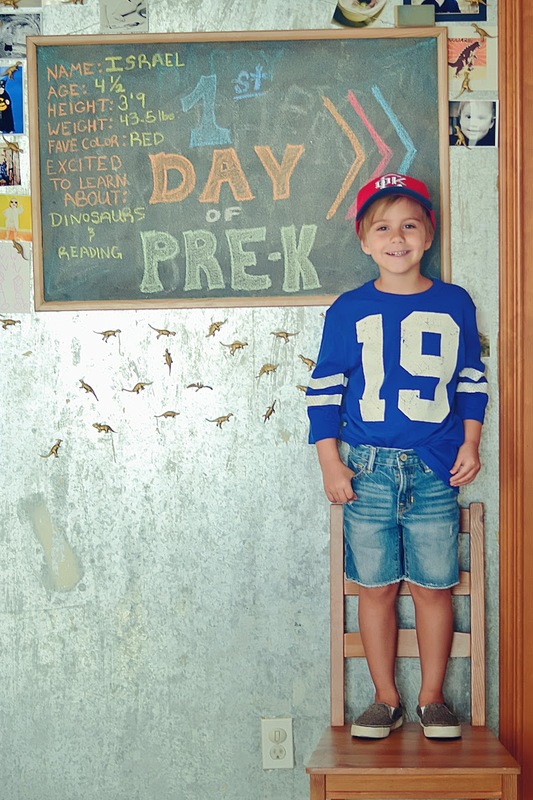 This is the year, we're starting pre-school and I'm just stunned we are already here. You're my baby, don't grow up, ever! But you did. I really wanted to wait until after labor day to begin, but surprisingly, it was my son that begged me to begin. He wants to learn, he's excited about his books and he really wants me to teach him to read. We'll see how that goes. There isn't much to say, we survived the first day and this momma is beyond impressed with his attempts at writing and practicing his name. He was attentive and listened, but about what I planned for us to do today was his limit. 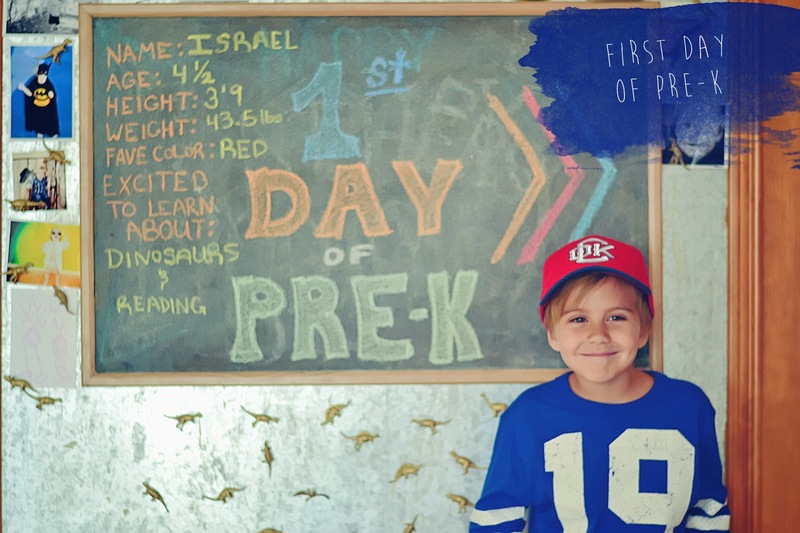 Half day Pre-k homeschool it is! Of course, to start the day we had to take photos. Sorry kid, I'm your mom, everything must be documented with photos. I prepared the chalkboard the night before, measured and weighed him so it would be ready to go! Just incase you're thinking there is no way you would have time to do all that on the morning of the first day of school. I know a lot of people do the first day photos, lots of my friends and instagram friends do for sure. I made the decision to add his "stats" so I can compare on the last day and see how much he has grown and changed. It'll be bittersweet, really. Pray for me, ya'll, I'm his teacher.